New Librarians Global Connection: best practices, models and recommendations“ is a new series of free quarterly webinars on issues of interest to new librarians, models of library associations and library schools working with new professionals, and groups by and for librarians. 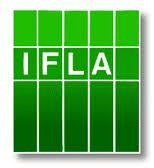 The free webinars are presented by IFLA Continuing Professional Development and Workplace Learning and IFLA New Professionals Special Interest Group in partnership with the American Library Association. The webinars will be recorded and made available at a later date.